Black cat and control switch? What does Vorel of the Hull Clade's effect do? May I activate an ability in the draw step before my opponent enters their first mainphase? I think Heartless Summoning has a place in here if the goal is to abuse ETB and ETG effects. You can even run Vedalken Orrery to get the maximum effect out of them to create utter lockdown/chaos. I always had an appreciation for Black Cat +1 from me amigo! Swap out Diabolic Tutor for Mastermind's Acquisition. I almost always run 1-2xBojuka Bog/Scavenger Grounds in pretty much all my decks; since you're filling up your opponent's graveyards, it's probably an extra good idea here. At 23 lands, if you ran 1x, you could swap it out for Haunting Echoes if you're worried about those cards conflicting - I think your mana-base would still be stable. 1xBuried Ruin might also be useful. Other less-great lands worth a second of consideration: Cabal Stronghold and Mortuary Mire. 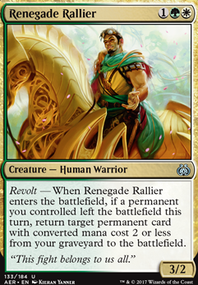 I think 16 creatures tends to be a little inconsistent, regularly seeing games in which only 1-3 creatures ever hit the battlefield. (a problem for Infect decks) I see value in good blockers, but I also think added removal/discard spells may be just as effective. For example, Wrench Mind or even Dimir Machinations may prove a better spell than Black Cat. 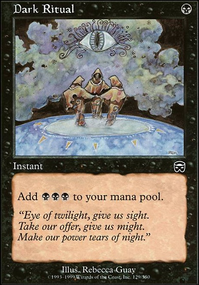 Additionally, while Lazav, the Multifarious retains its Legendary status when it copies, the Dimir Doppelganger ability doesn't specifically state that, and thus your commander will be a non-legendary copy of Black Cat, meaning Mirror Image won't invoke the "legend rule" when it enters as a copy of your Black Cat commander. After the first round of copying, your commander will be a 0/2 blue and black Legendary Shapeshifter creature named "Lazav, the Multifarious" with the Dimir Doppelganger's copy ability and Lazav, the Multifarious's ability. 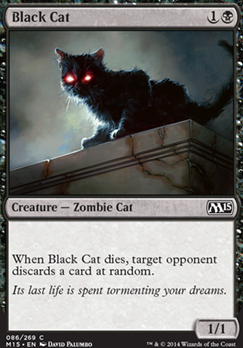 After the second round of copying, your commander will be a 1/1 black non-Legendary Zombie Cat creature named "Black Cat" with the abilities of the Black Cat and Dimir Doppelganger but not Lazav's abilities. In both cases, it will still retain its "commanderness," and still have a color identity of blue and black because that is a property of the card and not its current state as a permanent.